The dreamy guitars give the album the watercolor essence; vibrant and deep, with the right amount of subtlety to make the songs beautiful. Heavy is the operative word when describing the arrangements and song structure throughout the entire album. Not heavy in the way that the songs come blaring out of the speakers, rather heavy with the weight of deep bass lines and tantalizing drums. 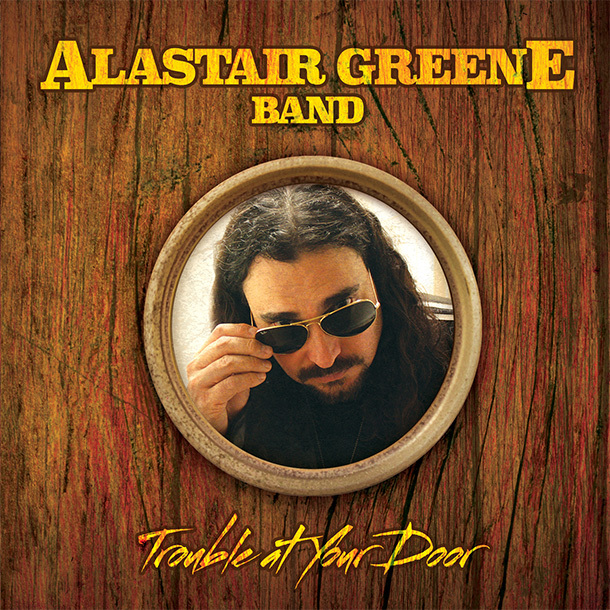 It is through the arranging of these instruments, and structuring the songs with these melodies, that Greene has showcased his ability to remain true to the origin of what makes blues rock music infused with emotion and talented musicianship. The first half of Trouble At Your Door carries the anthemic lyrics and heavy arrangements through on a steady ride of musical emotion, then tapers off a bit into deep, sorrowful tracks that radiate true blues musicianship. Long, drawn out guitar lines matched up against organic keyboards on “Calling For You” are the epitome of classic blues rock music. Greene’s synthesized and echoing vocals on this track create a futuristic vibe, making this track the album’s climactic moment. Post “Calling For You,” the album closes out with one last punch of power with “The Sweetest Honey,” a late ’70s/early ’80s rock inspired tune that is heavy with southern twang guitars. “Red Wine Woman” is one of those tracks that pops up on an album, and raises the question of “why?” But as the lyrics jump in with the rest of the arrangement, there is a pleasant surprise of Greene’s ingenious ability to make an acoustic southern-rock tune fit in effortlessly on a blues rock album. Trouble At Your Door is a musical painting with depth, power, and possesses a color vibrancy that is not commonly heard against the darker shades of blues rock music. Staying true to the core of the aspects of blues rock music, Greene has showcased his ability to make those musical origins feel like a breath of fresh air.